DIY beauty gift ideas are perfect for all of your makeup, nail polish, and bath product loving friends! 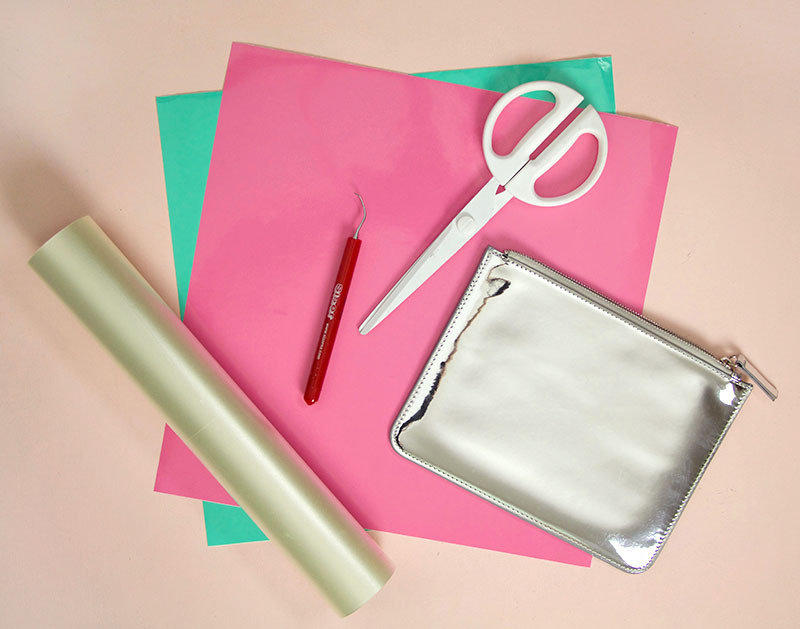 I have a few simple gift bag ideas to share today plus some free cut files to help you make your own. This post contains affiliate links, which help to support this site. Thank you! If you have been around here much, you probably know that I’m a big fan of my Silhouette. 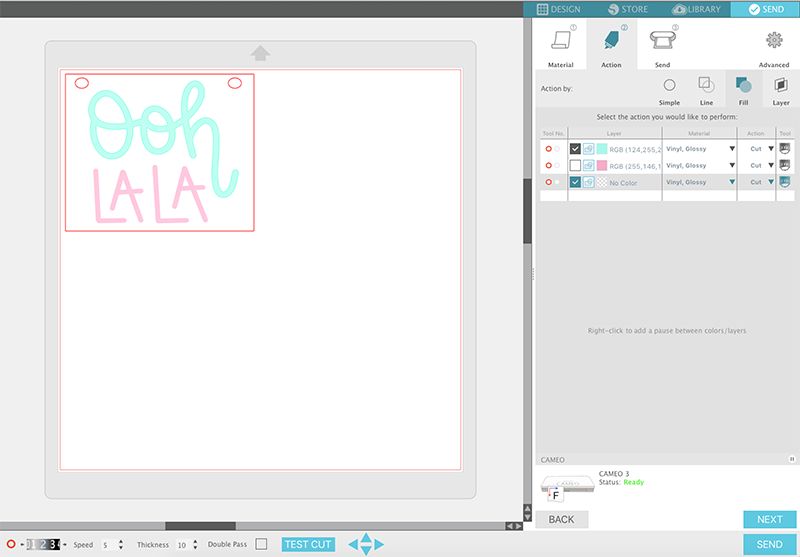 I seriously use it constantly, but maybe my favorite thing about it is how easy it makes it for me to make awesome custom gifts. It’s just a face that vinyl + Silhouette = great gifting. 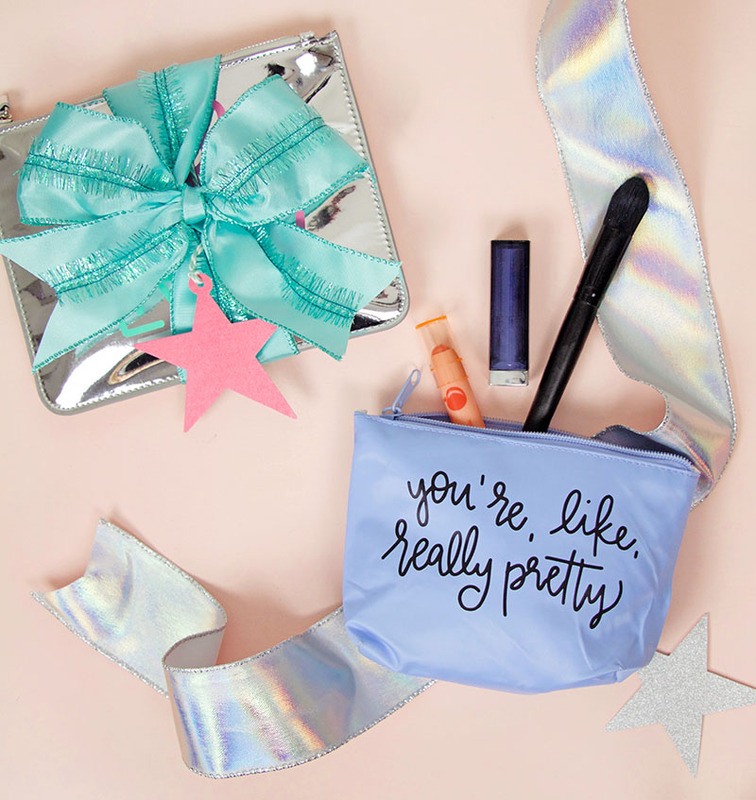 One of my favorite vinyl companies, Expressions Vinyl, challenged me and some of my blogging friends to come up with some fun gift ideas using vinyl, and I came up with these cute little make up bags! 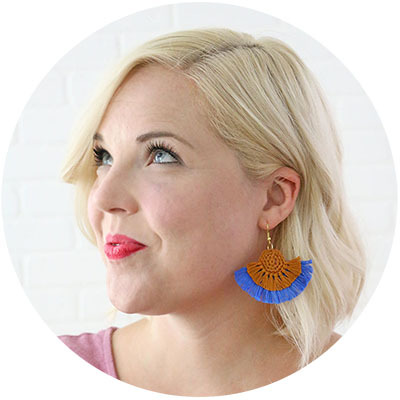 I love a getting a new lipstick or bottle of nail polish, and I thought it would be a fun and simple little gift idea for a friend, teacher, or babysitter. 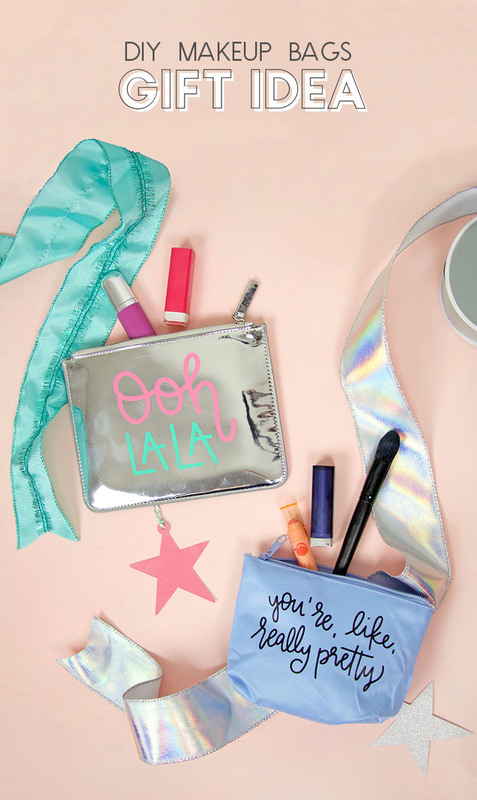 Throw a few beauty goodies into a cute custom zipper pouch, and have a fab little gift. I used my ipad pro with my apple pencil to create the designs for each pouch, and I’m sharing the files here to make it easy for you to make your own pouches. 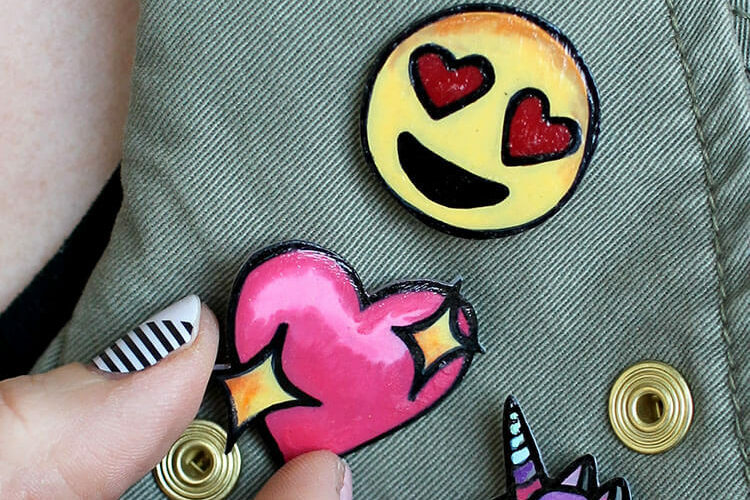 Okay, ready to make some cute DIY beauty gift bags?? The first step is to go grab yourself some cute pouches. If you head to Michaels, you may be able to find this cute plaid pouch with pom pom that I picked up the other day. I think it’s actually a pencil pouch, but it can totally hold beauty goodies, and it is very, very cute. 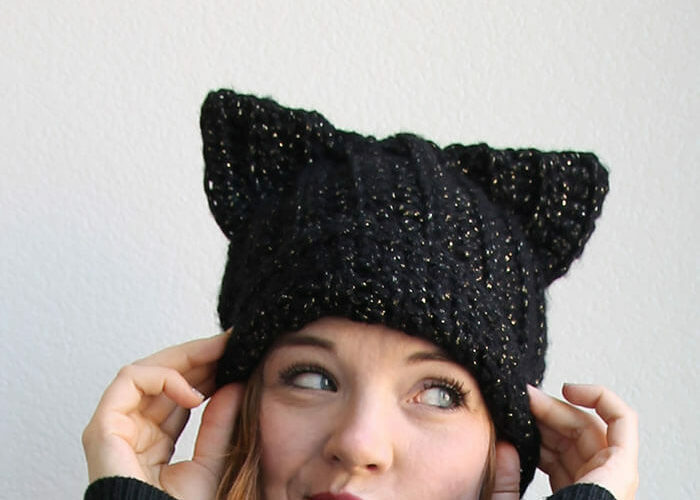 I can’t find it online, but it was in a little display with a bunch of cute plaid goodies. I also found a very cute metallic, mirrored pouch on an end cap near the office supplies at Target that I’m kind of crazy about. Amazon also has lots of good options (like these or these). 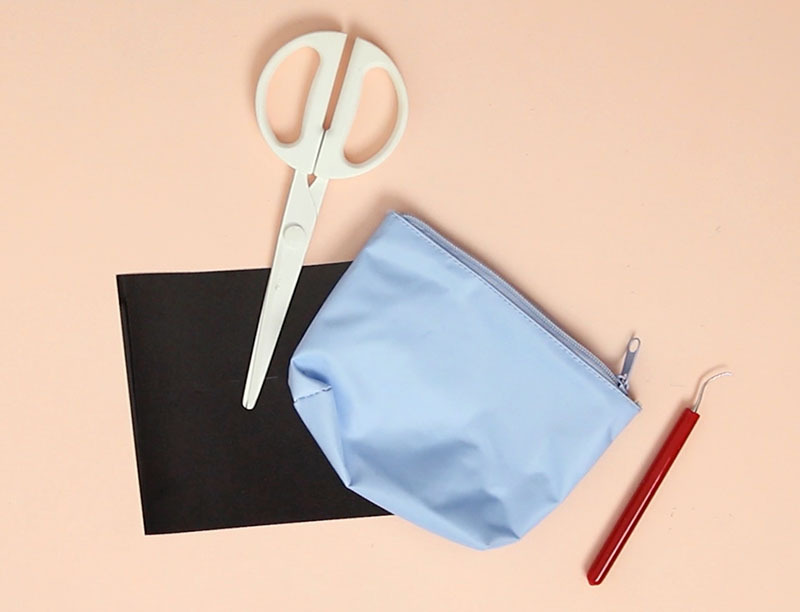 Whatever pouch(es) you pick, you need to determine what kind of vinyl to use on your pouch. 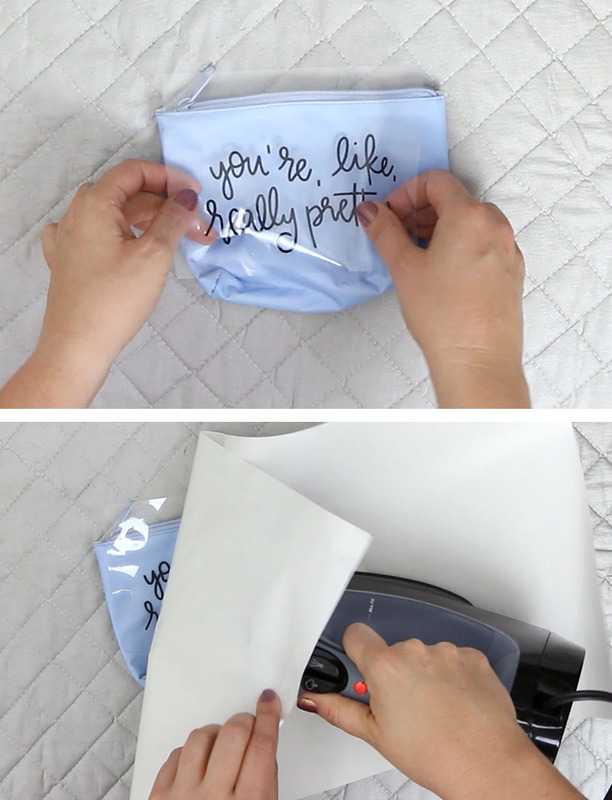 Finally, apply your design to your pouch. Be sure to really burnish the decal onto your pouch using your squeegee tool (or an old credit card works too). And that’s it! Cut your chosen design (find the free cut files above) from the heat transfer vinyl using your Silhouette or cutting machine. Be sure to mirror the image before cutting so the text will read properly when applied. Heat transfer vinyl is cut on the non-shiny side. Use your weeding hook (or tweezers or a pin) to help you remove all the excess vinyl from your design. 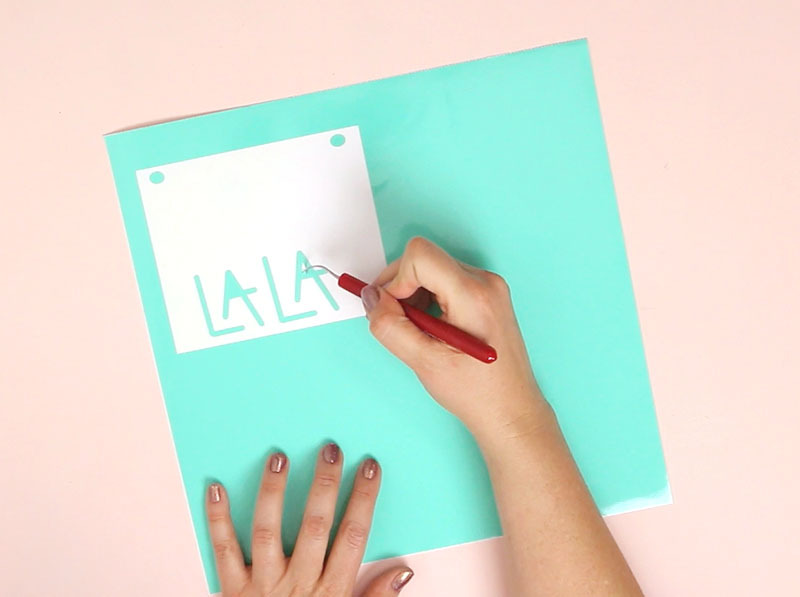 Don’t forget the little pieces inside letters! Try to flatten out the pouch as much as possible. Place the design on the front of the pouch. Cover your design with parchment paper or multi-use paper to avoid damaging the pouch. With the iron on the cotton setting, apply heat and pressure to each part of the design. And that’s it! 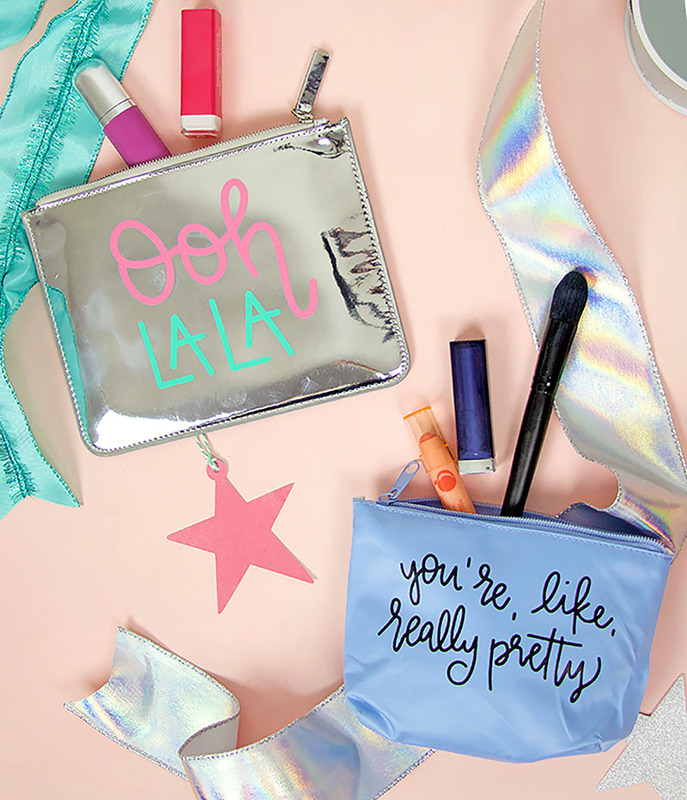 Fill those pouches with some fun lipsticks, lip balms, nail polish, eye shadows, etc., etc. and give it to someone special. What do you think? Would you like to receive ones of these little gifts? I know I would! 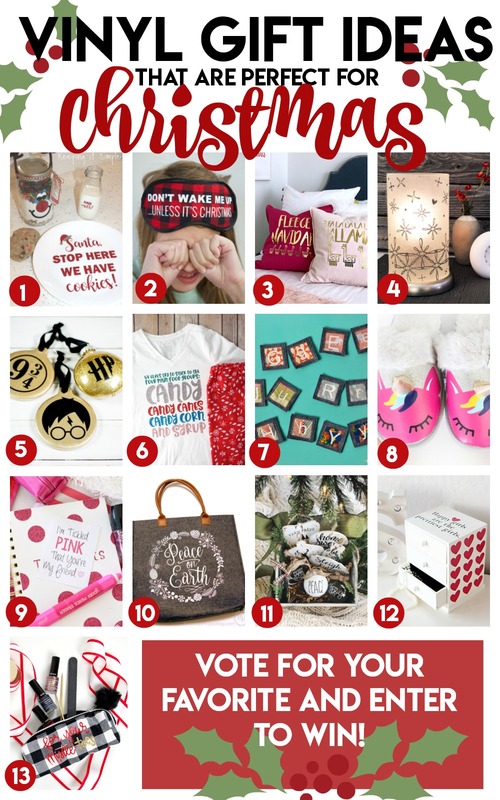 Okay – it’s time to go check out all those other vinyl gift ideas over at Expressions Vinyl. Happy Holidays and Happy Making!